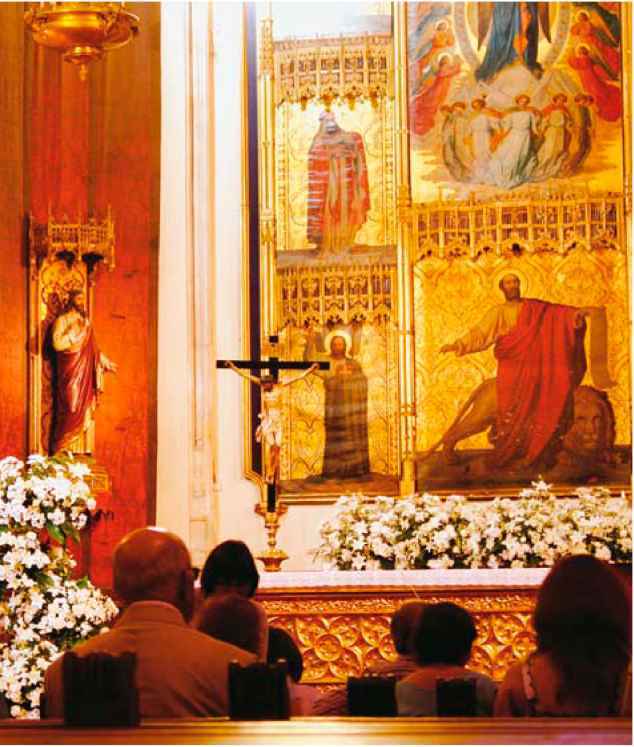 A congregation in front of the altar of the Catholic Church of San Jeronimo el Real in Madrid, Spain. The Church was originally founded in 1464 and reconstructed in its present setting in 1503 for Ferdinand and Isabel, king of Aragon and queen of Castile. 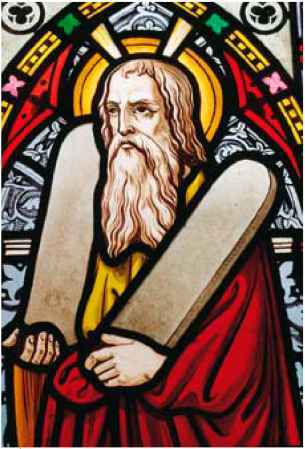 Stained-glass window depicting Moses receiving the tablets of the Law upon which the Ten Commandments were written. Testament. The church continues to be the community of God's people, those whom he chose to make his special people. 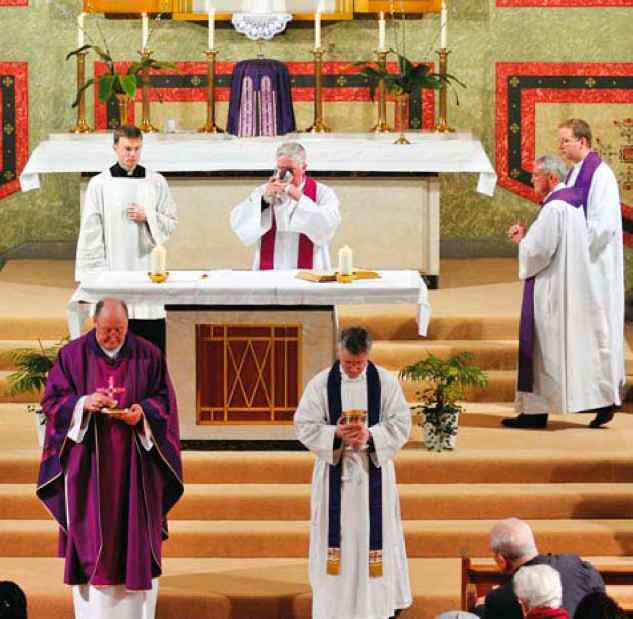 One of the descriptions of the church, then, is "the people of God." "People of God" is an image taken from the Old Testament. It is an image that is worth examining to appreciate the new meaning that was given to it in the New Testament. It is an image that begins with the story of Abraham.